You already have everything you need to get everything you want, if you are willing to WERK for it. 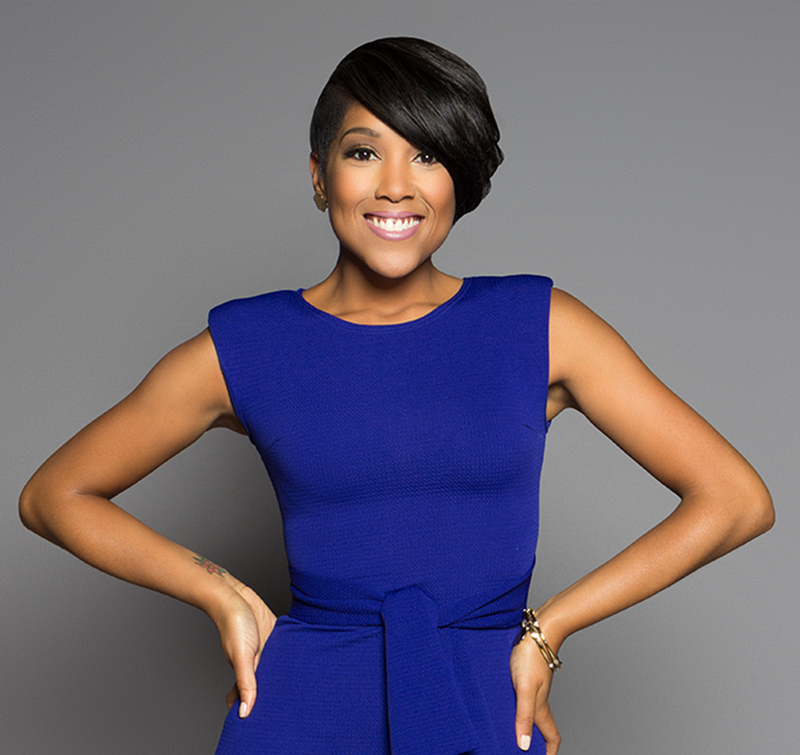 Koereyelle made her mark in 2011 when she founded The Single Wives Club, an education, and empowerment organization that inspires single ladies to become better women before becoming wives. She is also the Chief Experience Officer of WERKPraySlay–– an Annual 3-day empowerment weekend for women who are ready to win. She has truly become the voice for millennial women, representing the “new single woman” who wants love and marriage, but has not detoured her focus from her education and career. With this mission in mind, she leads her Inner Circle mentoring group which provides skills and strategies for women to level up personally and professionally. With a passion for women and pizazz for entrepreneurship, Koe authored two self-development books for women: WERK101: Get-Your-Life-Together Guide and sophomore project which shares success secrets for fearless female entrepreneurs, hosts a bi-weekly podcast entitled Confessions of a WERKaholic and creates group travel experiences for women through her Busy at the Beach brand. She’s an International Speaker, business mentor and educator who’s been featured nationally by ESSENCE Magazine, The Huffington Post, The Tom Joyner Morning Show, MadameNoire, Rolling Out, NBC, TV One and more for her empowerment projects. Who is Koereyelle DuBose? Koereyelle is an educator at heart with a passion for entrepreneurship. My professional background as a classroom teacher provided the skillset needed to create classes and coursework for aspiring business owners. Over the last few years, I’ve added Author, International Speaker and Monetization Mentor to my resume. What inspired the decision to empower, inspire, and help women level up personally & professionally? After experiencing first-hand what happens when you invest in yourself, I realized the value in helping others become their best selves. A few years ago, an abusive relationship and broken engagement motivated me to do some soul searching and discover my life’s true purpose. Since then, I’ve realized that part of that purpose is to help other women discover theirs. Can you tell us about the biggest obstacle you have faced, as an entrepreneur, and how you overcame it? The biggest obstacle I’ve faced as an entrepreneur is dealing with the fears of other people. If you’re not careful, people will put their doubts and fears off on you and you’ll start to take on those same beliefs. My biggest challenge was cutting ties to toxic people who weren’t going in the direction of my dreams. If you could go back in time, what is one piece of advice would you offer a younger Koe? OMG! I would tell my younger self to stop listening to everyone else. I made so many decisions based on the comfort of other people and they almost kept me complacent. We have to learn to tune in to our higher selves because we already have the answers to every question we’ll ever ask. What / Who inspires you and why? Freedom inspires me. The idea of creating enough wealth to live a freedom-based lifestyle is what keeps me going. I have a dream of being a location-independent, world traveling werkaholic and I won’t stop until I bring that dream to life. I’m working as hard as possible now so that I can sit down somewhere and enjoy the fruits of my labor with my husband and babies. As a creative, what are some habits that help you create original content? I use my own life experiences to create my content. I find that people connect with me because of my authenticity and the relatability of my story so I use my own journey as a baseline for the courses and events I create. What is the most important lesson being life has taught you so far? The most important lesson life has taught me so far is that it’s going to keep going with or without you. So many of us are waiting on the “perfect time” to do this or start that and unless we start taking initiative, we’ll literally be waiting forever. I find that this is especially true with single, successful ladies who don’t think they have time for love. I refuse to wake up at 40 with a whole lot of money and no honey. What is your take on “women supporting women”? Life is already hard enough for us ladies, so we definitely don’t need to make it even more difficult for ourselves. Instead of selfishly pursuing our purpose, we should always be willing to reach back and pull our sisters up. Believe it or not, there’s enough for all of us to win. What is one bad habit you are committed to changing? I have a really tough time letting go of the little tasks within my business, but I’ve recently hired an assistant and I’m determined to master the art of delegation. What would you like to be remembered for? My fearlessness. I want to be an example of what can happen when you believe in and bet on yourself. ⟵5 Times Sarah Sapora Motivated Us to Rise Up!